Tickets available at the door only on the night of the performance. 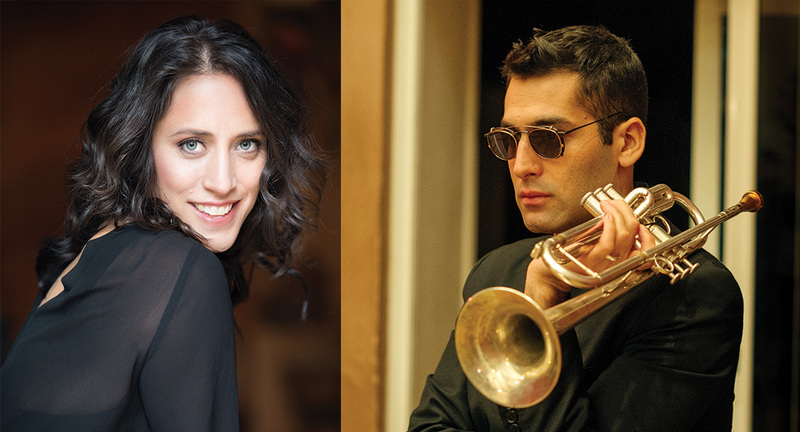 Canada-Israel Cultural Foundation and Toronto Downtown Jazz are pleased to present this year’s Israeli Jazz Showcase, featuring renowned jazz innovator, Israeli trumpeter Itamar Borochov. Award-winning local singer Aviva Chernick, will open the evening with her unique sound. Lush soundscapes and subtle percussion grooves lay the ground for Aviva Chernick’s crystalline and soaring vocals in a reimagining of traditional Balkan Ladino repertoire along with original Hebrew melodies. Israeli-born, Brooklyn-based trumpeter & composer Itamar Borochov connects lower Manhattan to North Africa, modern Israel and ancient Bukhara, celebrating traces of the divine that he finds in elegant sophistication, Middle Eastern tradition and downhome blues. These unique influences demonstrate why Itamar Borochov’s latest album Boomerang has been receiving worldwide critical acclaim. Deeply immersed in the jazz tradition, Borochovʼs search for his personal roots resulted in an ever-expanding love for Arab and Pan-African musical sensibilities – a natural palette for a trumpeter-composer raised in Jaffa, an integrated Muslim-Jewish-Christian city. Audiences worldwide are falling for Itamar Borochov’s enchanting sound and virtuosic expression.